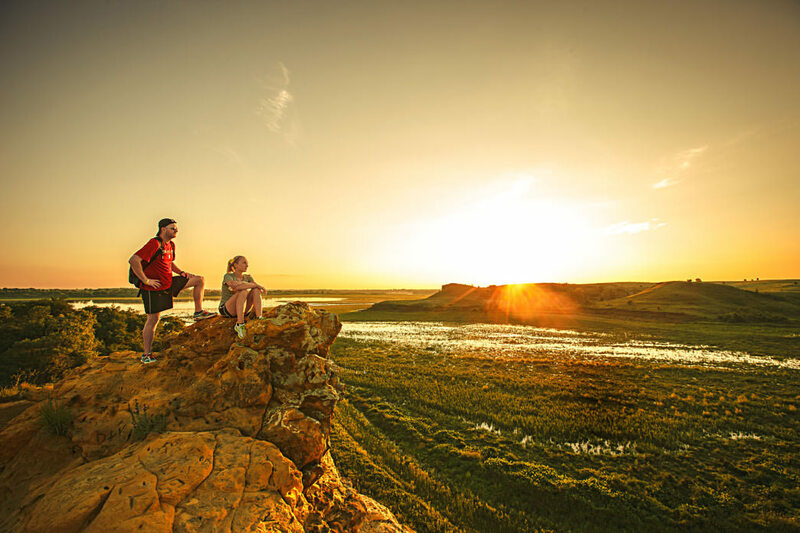 Kansas is a nature lover’s playground waiting to be explored, with plenty of opportunities for travelers to get off the beaten path. The Sunflower State is worth a trip, offering something for everyone from peaceful hiking through the wilderness to paddling and fishing on one of the many lakes or rivers. 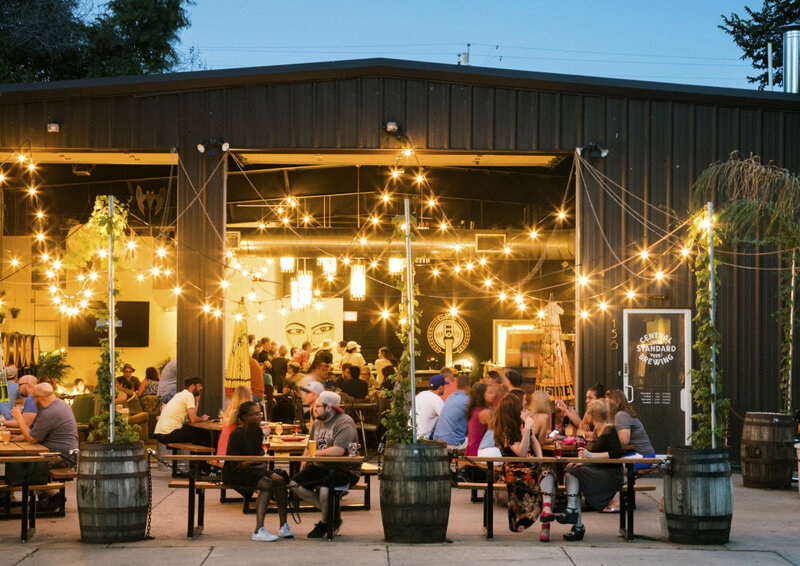 And if you like a cold pint after a long day of adventure, new breweries are popping up all over the state. We know it can be tricky to decide where to start (especially when there are so many options! ), so we put together a list the 10 best outdoor adventures the state has to offer. Pick one—or all 10—and start planning your next trip to the Midwest. Don’t forget your crash pad and chalk bag when you visit the Sunflower State. 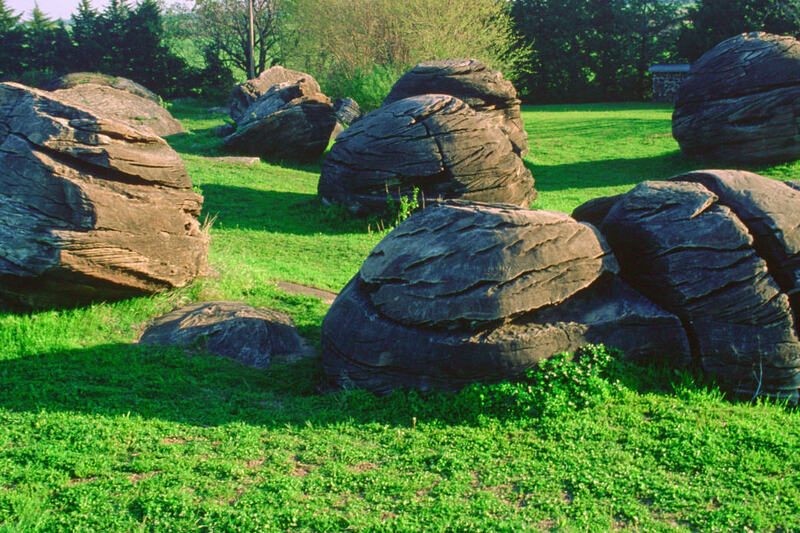 You will find about 200 sandstone boulders to climb just outside of Minneapolis, Kansas, in Rock City. Get ready for crimps, slots and pockets galore! The boulders here aren’t super tall and most of the established problems are in the V1-V5 range—meaning it’s a perfect spot for beginners. This spot is perfect for a quick climbing fix, or turning the kids loose to burn off some energy. Bring your bike and ride through red sandstone rock formations as you cruise along this Epic trail. Switchgrass opened in 1995, offering more than 20 miles of challenging and scenic singletrack mountain bike trails, including a 2.5-mile loop that’s perfect for beginners or running a warm-up lap. The route is well-maintained and has something for every level rider. Part of the trail skirts the rugged edge of Wilson Lake, where you’ll likely see a paddler or two. With both flat sections and technical sections, this trail is the way to see the Dakota Sandstone formations up close. You probably won’t be alone out there, either—snakes, lizards, and turtles are frequently spotted. Just make your way around them and keep going! Saddle up! The state of Kansas is home to more than 300 miles of equestrian trails, including a mix of seasonal and year-round options. Clinton State Park, for example, has 35 miles of trails designated for horseback riding along the south shore of Clinton Lake, ranging from flat and easy to rocky and more challenging. About a half hour north of Clinton Lake, Perry Lake State Park has a couple easy trails that traverse woodlands, open prairie, and across streams. And the 12-mile Boulder Bluff Trail at El Dorado State Park is a good one for spotting wildlife. Your horse is even allowed to swim and cool off in El Dorado Lake. Venture into the prairie at Flying W Ranch in Flint Hills with a moonlight ride to view the Milky Way from horseback. 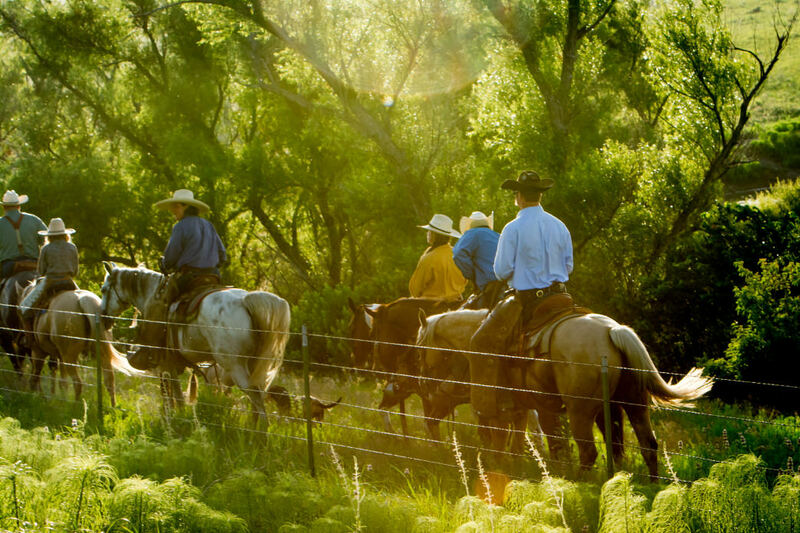 Or experience an actual 10-hour cattle drive through beautiful pastures and along country roads. 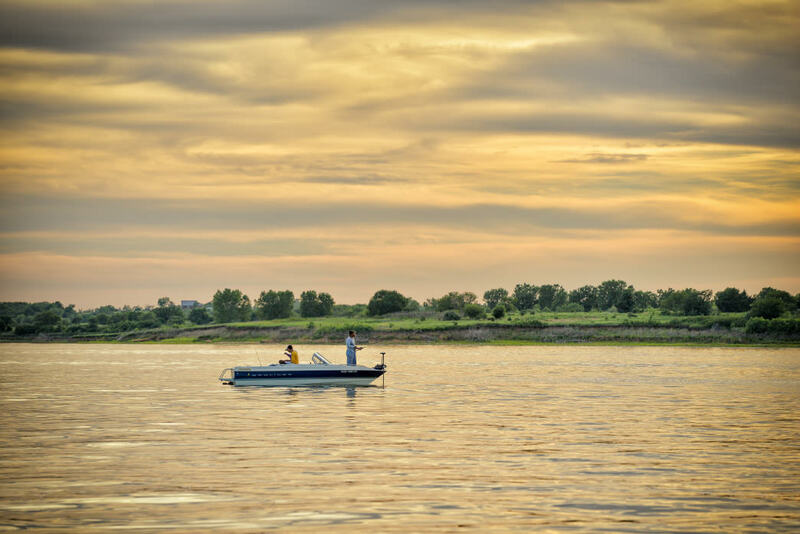 The state name "Kansas" comes from the Kansa or Kaw Native American tribe, who called themselves “people of the south wind.” And what better way to connect with the wind than to harness it for sailing on nearly 10,000 acres across the Cheney Reservoir? This manmade body of water was built in 1962 to manage flow to and from the North Fork Ninnescah River. For “trailer sailors” who like to travel with their boat in tow, join the Ninnescah Sailing Association for a memorable day on the water. It’s one of Kansas’s best-kept secrets. With so many great state parks to spend a weekend, how do you narrow it down? You can find the full list on the Kansas State Parks website, but here are a few solid options. Clinton State Park in Lawrence has it all: trails, a lake, playgrounds, fishing ponds, and even disc golf. If you’re hoping to spend the weekend fully immersed in beautiful scenery, Elk City State Park in Independence is the place to go, with woodlands, open prairie and limestone bluffs. In Marquette, Kanopolis State Park—amid woods bluffs and a reservoir—has 31 miles of trails, horse rentals, a marina, and a campground with cabins for those who don’t want to full-on rough it. 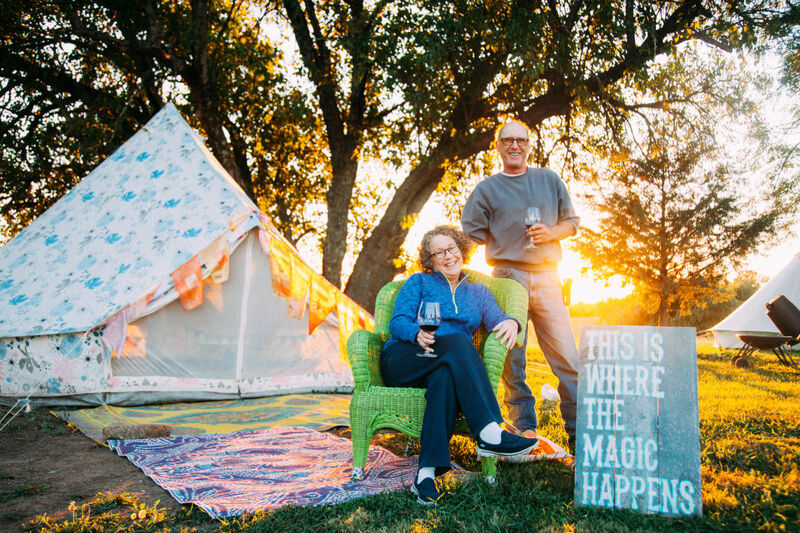 Take it up a notch and try glamping at Hoot Owl Hill in Paola, where camping meets luxury with a bed and breakfast, a private canvas-walled tent called the "Hoot House" for larger groups and bell tents with real beds! The Kanza Rail-Trail Conservancy’s slogan is "Hike it. Bike it. Ride it." A call for outdoor enthusiasts of all types, KRTC converted two former rail lines into the 117-mile Flint Hills Nature Trail. Open to the public for hiking, biking and horseback riding, both trails travel through areas that are thriving with wildlife. No motorized vehicles here, just nature lovers exploring in their favorite way. Whether you bike a few miles or the entire route, the crushed stone and cement path is a fairly easy ride. Plan your trip to hit more popular landmarks such as the Red Oak Bluff high above the Marais Des Cygnes River, the tallest trees of their kind in the state (like the Swamp White Oak, White Poplar, or Weeping Willow), or the 240-foot long steel bridge over Appanoose Creek Bridge. The trail also passes by some really cool historic sites, like the old-fashioned White Eagle Gas Station, the 1839 Chippewa Indian Burial Grounds, and the John Brown Museum. You’ll likely need a break from all this adventure, and the craft breweries in Kansas will be happy to help you out. At the time this was written, we counted 26 across the state. Any one of them will likely be a treat, but here are a few to get you started: River City Brewery, Wichita Brewing Company and Central Standard Brewing in Wichita; Free State Brewing Company in Lawrence; and Blind Tiger in Topeka. The largest lake in the state and a true gem, Milford Lake in Junction City covers almost 25 square miles of water, and is home to some of the best fishing in the state. You can catch catfish, walleye, white bass, as well as large and smallmouth bass. Look for bald eagles soaring above the lake if you visit in the winter and don’t be surprised if you see a bobcat along the tree-lined shore. At one time there was more than 170 million acres of tallgrass prairie across the United States. Today, less than four percent of it remains, and most of it is right here in Kansas, preserved at the Tallgrass Prairie National Preserve. With more than 40 miles of trails to explore, the best time to visit is in the fall, when the tall grass reaches its peak height. 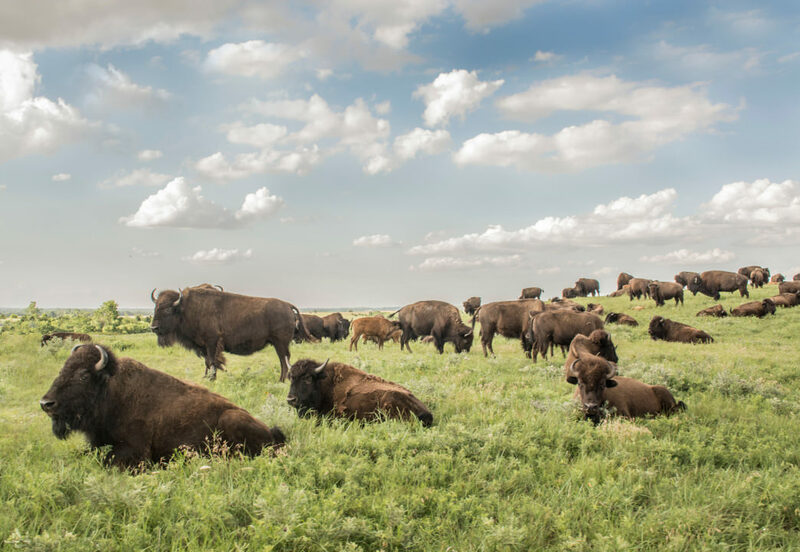 You might even see the resident bison herd roaming around—just don’t get too close! After your walk, take a self-guided tour of the ranch headquarters, house, and barn. Besides hiking, you can also cast a line at one of the reserve’s three ponds (catch-and-release only). No outdoor adventure trip to Kansas would be complete without visiting one of the main life forces that keep this state thriving. Also known as "the Kaw," the Kansas River is 173 miles long from its origin in Junction City to its confluence with the Missouri River. The entire river system has more than 700 miles of blueways and drains almost all of the northern half of the Sunflower State. Canoes or kayaks are the best way to paddle this gorgeous National Water Trail, and you can set up camp on any sandbar.